With a growth in the cell phone market, the charges for International calls is skyrocketing. An important business call or an hour-long chat with a distant-relative might cost you some good money. But not anymore, With the Voipscan calling and messaging app, the call rates have never been cheaper. With Voipscan stop worrying about the phone bills and focus on important things. 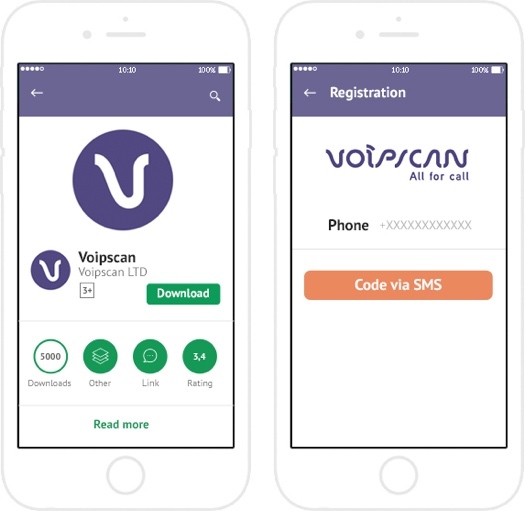 Voipscan is similar to any other calling and messaging app but what makes it unique is that it does not require an internet connection to make your call. Even in the absence of a reliable internet provider, you can make international calls without any extra load on your pockets. 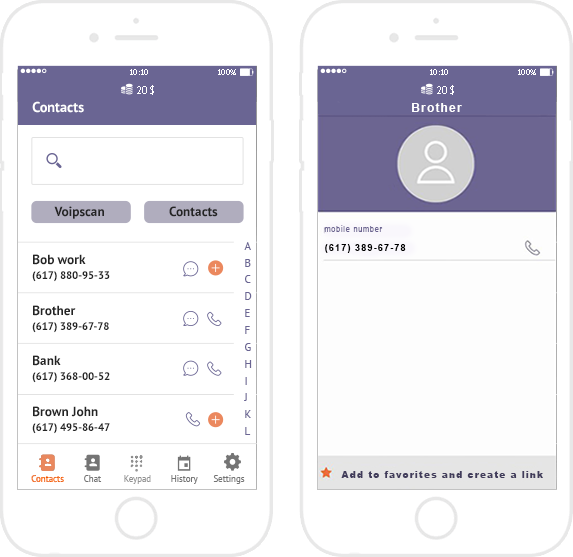 Why is Voipscan better than any other calling app? Every calling app needs a reliable internet connection for making a call, and even with an internet connection, the quality of the call is poor. Network fluctuations cause transmission delay and irritating chat freeze instances that is simply annoying for everyone. The receiver can contact you back through the same local number This service is so effective that all you need to pay is a small Voipscan tariff recharge and enjoy international calls anywhere, any time. Here is a list of cheapest tariff plans for some popular countries. Many other countries are mentioned on the website. Considering the international market, Voipscan is made for three platforms, namely, Android, iPhone and Web version. It can be downloaded for free from various store apps. 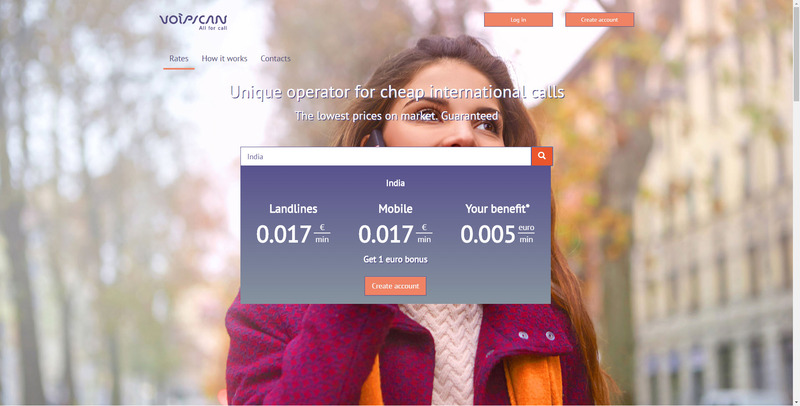 Voipscan promises you the best connection for international calls so that your important calls remain uninterrupted, and that also at lowest rates for international calls possible. 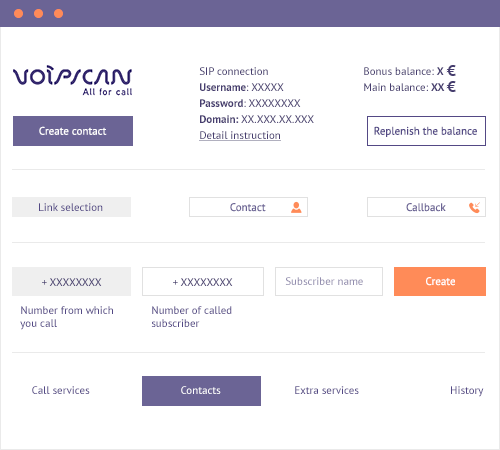 If you sign up now Voipscan offers you 1 euro in your account and even though it seems small, you will be surprised by the number of calls per euro at the amazing call rate has to offer for international calls. Not only this app allows you to make international calls but like, other chatting and calling apps you can connect with your loved ones anywhere using the Internet chatting and calling features which comes as a bonus along with this app. So you can chat and make video calls for free just like any other app for international calls out there. Join now to get a bonus one euro at you first signup and see for yourself how cheap is it to make international calls through this app.